FOR IMMEDIATE RELEASE: Pittsburgh, PA – Heyl & Patterson Inc., a world leader in bulk material handling systems and thermal processing equipment, today announced the signing of an exclusive license agreement with ELB Engineering Services (Pty) Ltd. (ELB), a bulk material handling provider based in Johannesburg, South Africa. Iron is the second most abundant metal in the Earth, and iron ore is the lifeblood of the world's steel industry, with about 98% used in steelmaking. Iron ore is mined in about 50 countries, and the seven largest account for about three-quarters of total world production. Australia and Brazil together dominate the world's iron ore exports, each having about a third of total exports. 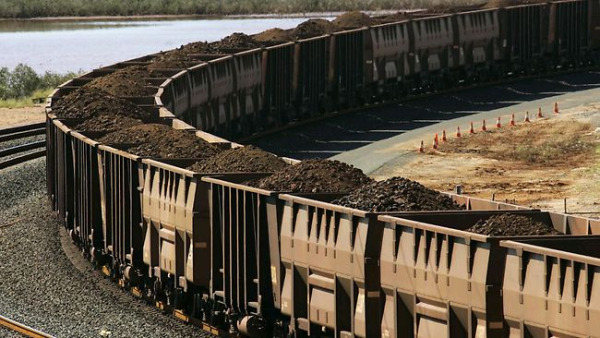 Iron ore is a low-priced bulk commodity, but mining it can only be economical if the deposit is large and easily accessible and transport costs can be kept to a minimum. Heyl & Patterson is the maker of the CUB™, a unique railcar and locomotive moving device. Utilizing a steel runway that is bolted to the ties adjacent the track rail, the CUB™ is an electromechanical machine that is capable of moving up to 13 railcars at a time. It's safe, easy to install, environmentally friendly and far less costly than large systems, making it the ideal solution for small to mid-sized railcar loading, unloading and repositioning applications. 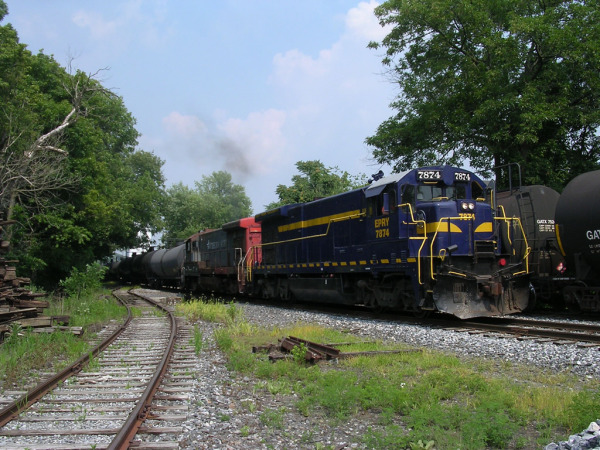 Short line and regional railroads are an important and growing component of the railroad industry. They operate and maintain 30% of the American railroad industry’s route mileage, and account for 9% of the industry’s freight revenue and 12% of railroad employment. The American Short Line and Regional Railroad Association (ASLRRA) is a non-profit trade association representing the interests of more than 475 short line and regional railroads in legislative and regulatory matters. ASLRRA’s upcoming Annual Convention connects the organization with their customers, vendors, and partner railroads. Iron ore was one of Australia’s commodity success stories from 2009-2010, and will attempt to continue its healthy performance in 2011. 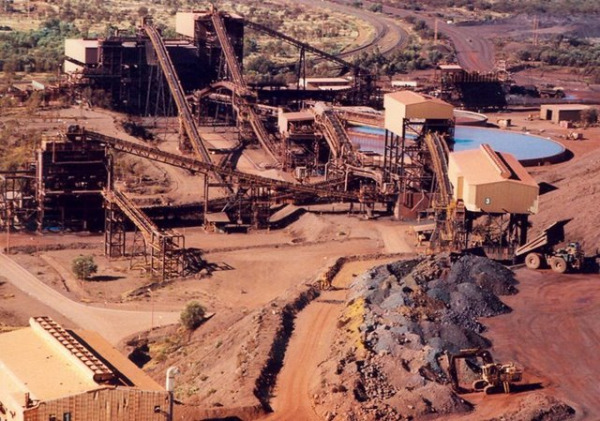 Industry volatility, pricing, mergers, huge investments and expansions are now on the scene, not to mention record flooding in Queensland that has affected the mining industry. With over 380 senior executives expected to be in attendance, the 14th Annual Global Iron Ore & Steel Forecast will continue its role as Australia’s premier event for the region’s iron ore and steel industry. Heyl & Patterson will be exhibiting, along with local rep Seevinck & Associates. FOR IMMEDIATE RELEASE: Pittsburgh, PA – Heyl & Patterson Inc., a specialist engineering company in Robinson Township, has received certification by India’s National Thermal Power Corporation (NTPC) to manufacture industrial capital equipment in India. The certification will lead to infrastructure improvements to the nation of India. The NTPC is building a new power generation plant in a northern Indian province, and plans to use Heyl & Patterson as its preferred vendor in engineering Wagon Tipplers and Side Arm Chargers to offload coal. A Wagon Tippler, or Railcar Dumper, is a mechanism used for unloading certain types of railroad cars. It holds the car to a section of track and rotates the track and car together to dump the contents. 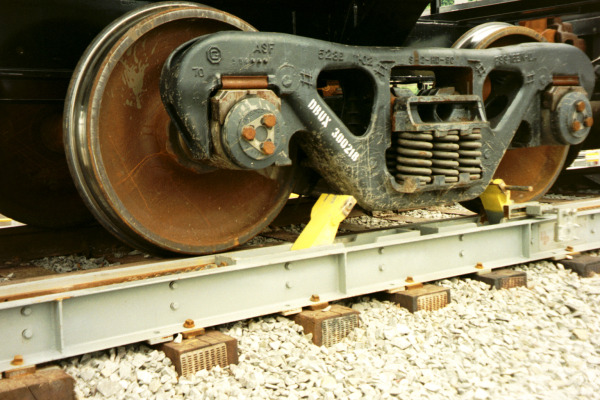 A Side Arm Charger is a shepherding device that positions loaded railcars one by one into the Wagon Tippler for unloading. Founded in 1887 in Pittsburgh, Heyl & Patterson provides high quality, reliable and custom-engineered solutions for bulk material handling and thermal processing applications around the world. Heyl & Patterson evolves with the industries it serves, combining cutting-edge technology and innovation with extensive experience. Products and services include Railcar Dumpers, Rail & Barge Movers, Barge Unloaders, Thermal Processors, High Efficiency Dryers and Coolers, Calciners, Bulk Material Processors, Pilot Plant Testing, Engineering Studies and Field Service. Heyl & Patterson is attending the International Mining & Machinery Exhibition in Kolkata (Calcutta), India on November 10-13, 2010. Harry Edelman, Executive Vice President, gave a presentation on the company’s Wagon Tipplers and Side Arm Chargers (Rotary Dumper & Train Positioners) at Calcutta’s Oberlin Hotel on November 11. The discussion was on our experience with these pieces of equipment and our new licensing agreement with FLSmidth Pvt. India. Response was positive from the 30+ attendees. Next on the agenda is a visit to a local customer who had one of our machines installed in 1964. They still use it and are happy with it. FOR IMMEDIATE RELEASE: Heyl & Patterson Inc. (H&P), Pittsburgh, Pennsylvania, USA has signed an exclusive license agreement with FLSmidth India covering supply of technology and design of wagon tipplers and side arm chargers to be manufactured in India for the Indian market. FLSmidth will be responsible for marketing, manufacturing and delivery of the machines with H&P engineering and involvement from design through commissioning. This exclusive agreement will enable FLSmidth to continue to strengthen its global growth strategy in both the cement and minerals industries – initially on the Indian market, and with the potential to expand to the Asia-Pacific and Europe-Middle Eastern markets in the future. This initiative was conceived by FLSmidth in India with a strategic intent to address the potential for market growth on the Indian subcontinent. The agreement with H&P and the availability of H&P wagon tippler and side arm charger technology add critical equipment to FLSmidth’s bulk material handling portfolio. The initiative is expected to capitalise specifically on the expected growth in the power and port business. Founded in 1887 in Pittsburgh, Heyl & Patterson provides high quality, reliable and custom-engineered solutions for bulk material handling and thermal processing applications. H&P continues to evolve with the industries it serves, combining cutting-edge technology and innovation with extensive experience. With this agreement, H&P and FLSmidth will be able to supply the necessary technology for handling the latest requirements in railway wagons, which are planned by the Indian railways for their Power, Port and Steel Industries.